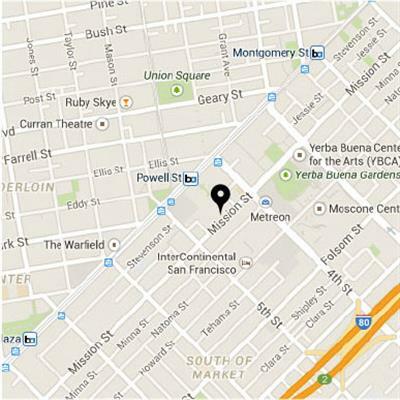 Jessie Street Garage (entrance off 3rd Street, left hand side, just before you cross Market Street). 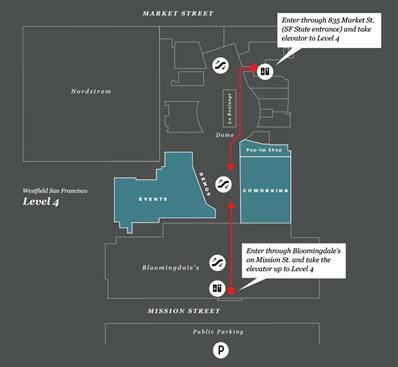 5th and Mission Parking Garage encompasses roughly one full East-West block and is bordered by Minna, Mission, 4th and 5th Streets. 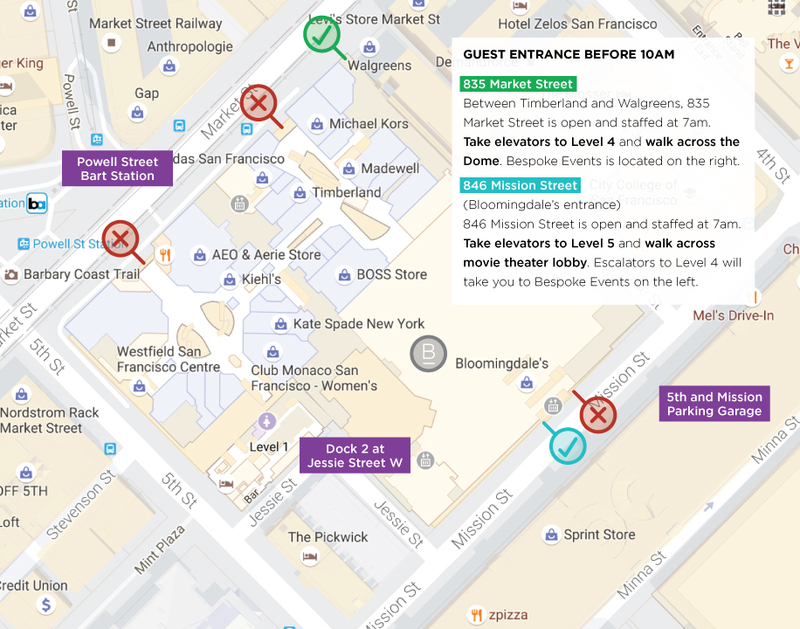 The easiest way to get to Bespoke is by entering Bloomingdale’s on Mission Street and taking the elevator up to Level 4. 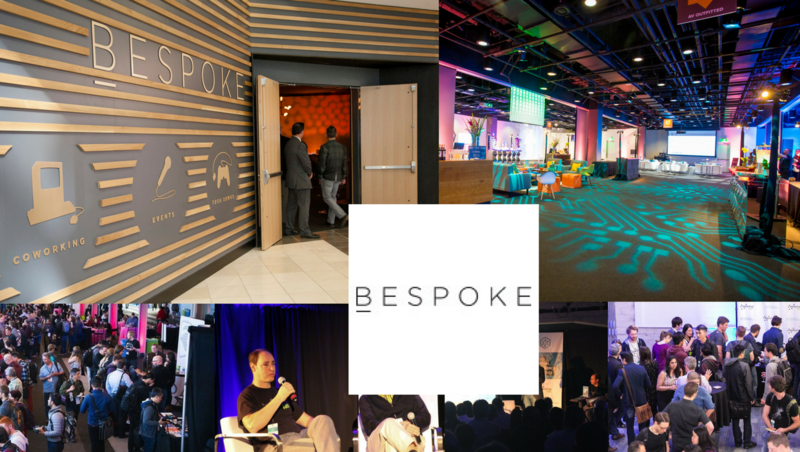 Bespoke is located just outside of Bloomingdale’s.